Fox Soccer Channel was a specialty sports channel dedicated to Soccer. Fox Soccer Channel was one of the top channels in the US for Live Soccer programming and soccer news coverage. 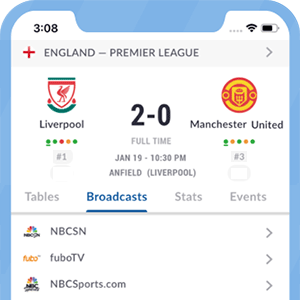 Coverage of their tv rights is now spread across their sister channels: Fox Sports 1, Fox Sports 2, Fox Soccer Plus and Fox Deportes and their mobile and online channel Fox Soccer 2Go. The Fox Soccer channels are available in over 40 million cable and satellite households in the USA.